For most pharmacy students who are on the verge of completing their last year of school and training the decision ultimately arises as to whether the next course of action is to pursue the completion of a residency to enter the workforce. The selection is ultimately based on whether a student wishes to continue their education and specialize in a specific area of pharmacy practice or not. The decision lies on the goal that the student has in mind for their future and whether a residency will likely led them to this endpoint. The prevailing thought is that the completion of a residency will increase the pool of potential of career opportunities and not necessarily place restrictions on what one can do as a pharmacist. A residency program offers the opportunity to be exposed to a variety of practice experiences and from these experiences one can decide what they would like to pursue as their staple career. Furthermore, a residency program offers the opportunity to complete a yearlong or more residency project that exposes an individual to the area of research and study design. The decision to complete a residency program must be a multifaceted and individualized one for any student. 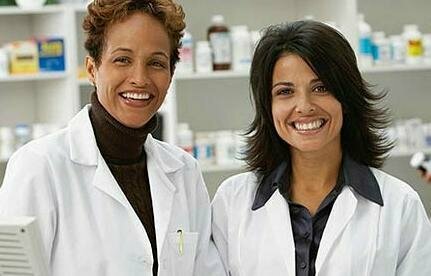 It can consist of weighing the pros and cons of dedicating this time to furthering one’s training or the decision to immediately enter the workforce upon graduating from pharmacy school. The hallmark of any pharmacist training is to be able to provide effective, efficient and quality patient care using the skills, knowledge, and training that one has acquired and this can come from the completion of a residency program or from entering the workforce. In the end, depending on a student’s individual situation and what their short term and long-term goals for pharmacy practice the decision may be to pursue a residency program while for others this may not be the case, but this requires a review of the advantages and disadvantages.